This is based on Fedora. Add your account the dialout group. 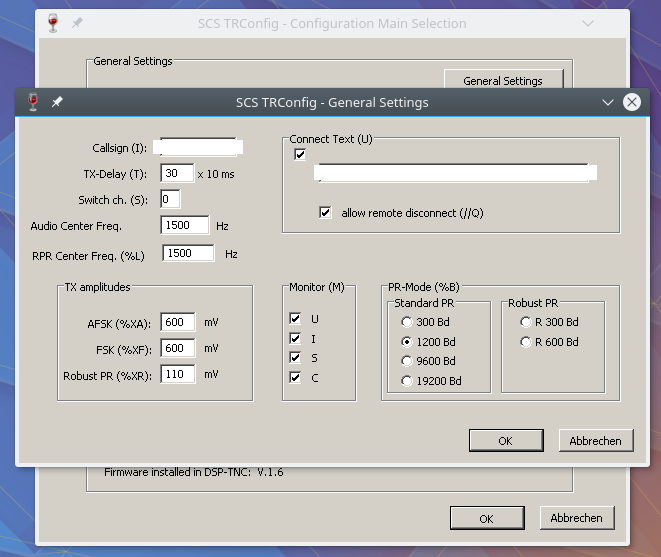 Download and extract SCS Tracker software, for example fw1_6.zip and TRConfig.exe. Exit TRConfig (No, then Abbrechen). Now you can start the software again and configure TRConfig using COM5.